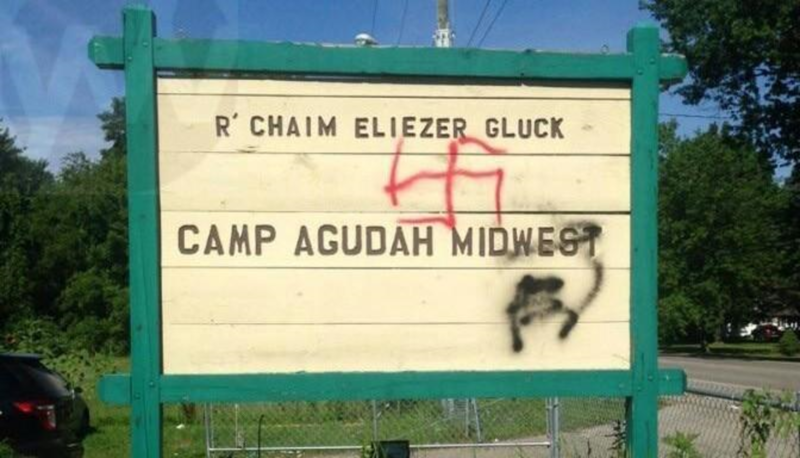 South Haven, MI - Following a graffiti attack last month that left a Jewish summer camp covered with swastikas, three South Haven men have been charged with three counts each of “malicious destruction of property,” each of which carries up to one year in prison if convicted. MLIVE.com (http://bit.ly/1JF8xvL) reports that Dakota Burnett, 20 and two 18 year-olds, Cody Emelander and Xavier Mulac faced a Van Burn County District Court judge at their arraignment on Friday. Burnett’s bond was set at $5000, while bond for the two younger men was set at $1000. 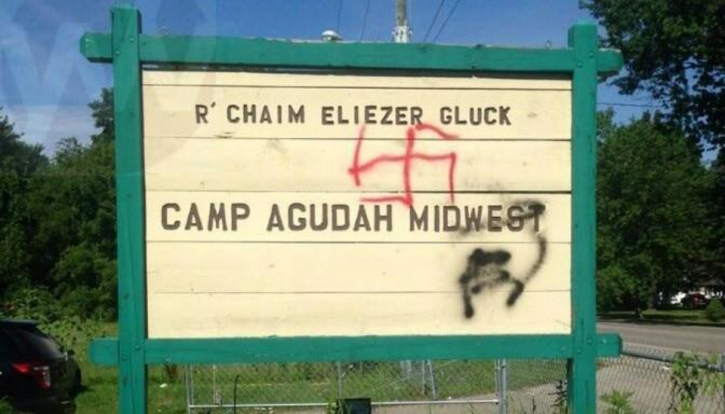 All three stand accused in the rampage that left Camp Agudah’s sign, a camp vehicle, and a picnic table and building covered with swastikas. Three 'good clean Christian boys'. up to one year in prison , if convicted!!!! Not much of a deterrent????? ?They should get more like ten years behind bars!!!! !